Even when classes aren’t in session, our self-motivated Spiders can be found applying themselves to countless projects. 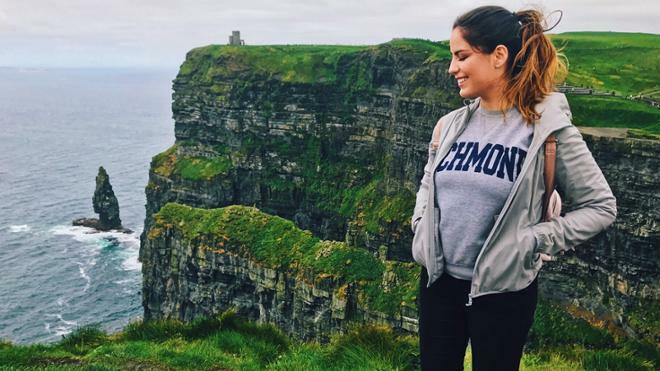 Before studying abroad, junior Maria Vennikov’s ambition led her to secure an international internship with Excel Recruitment in Dublin, Ireland. A marketing and economics student, Vennikov used her skills to help the company’s executives identify ways in which they could save money. The result? A cost-cutting algorithm — created solely by Vennikov — that the company continues to use. It models and forecasts complex wage scales based on a number of variables relating to sales, margin and turnover levels. “Maria is very bright, driven, and has a strong work ethic,” said Barry Whelan, the CEO of the retail recruiting company. “She picked up the intricacies of our business quickly and added value. I suspect that she will have a very successful career ahead of her." After an enterprising summer in Dublin, she continued her studies abroad in Prague last semester. Vennikov’s story is just one example of Spiders going above and beyond to pursue valuable internships that prepare them for their careers.